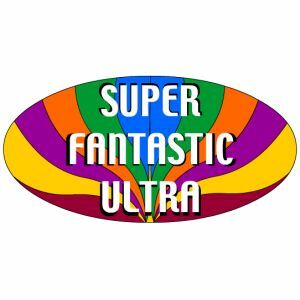 The Super Fantastic Ultra Show is proud to be listed on the iTunes Podcast Directory under 'Comedy' and 'Music'. We receive hundreds of daily visitors and subscribers through the iTunes portal, as well as web searches from Google, MSN, Yahoo! and other search engines. We only place one ad per podcast. When you purchase an ad unit, your ad sponsors the entire podcast. If you are interested in purchasing more than one ad unit, for each ad you purchase, your ad will appear on it's own podcast episode. It will be something like, 'Today's show is brought to you by... your ad here.' No other ad will be on the episode, so your ad will have no competition from other advertisers! Our Podcast is unique because it is 'Image Enhanced' for viewing/listening on iTunes. This new technology allows us to show photos and images that are clickable with outgoing links to web pages. Our listeners will hear your product's name, web address, as well as see your logo, and have a clickable button to take them direct to your web site. Each Podcast Ad is $50.00 each. We accept all credit cards via PayPal. All you need to do is click the PayPal button above. Once you have completed payment, you will be directed to another page where you can supply us with your logo and the URL to your web site. Our host Hoagie Malone will introduce our next podcast letting the listeners know who has sponsored the episode. Your logo with a clickable link will appear in the viewer window on iTunes during the introduction. Every time a listener enjoys the podcast, your logo and link will be there giving your product exposure over and over again. Advertising on a podcast can be a lot more effective than radio or TV advertisments. Why? Because radio and TV play your ad - and that's that. If the viewer did not catch it, it's too late, it's gone. People download podcasts and enjoy them over and over on their iTunes music list. Because people can enjoy a podcast at their leisure, they are much more attentive. Listening only when they are ready to listen. If something comes up, they can easily stop the podcast, and then come back to it when they are ready. It's entertainment on demand. Your ad will be seen many times, making it a very effective way to advertise. Logos must be 300 x 300 in jpg format at 72 dpi. After you purchase your ad unit above, you will be redirected to a form to upload your logo, web address, and product information.